The children in House Room have picked up a new daily routine of baking cupcakes at the play dough table. Again, this is happening EVERY DAY! 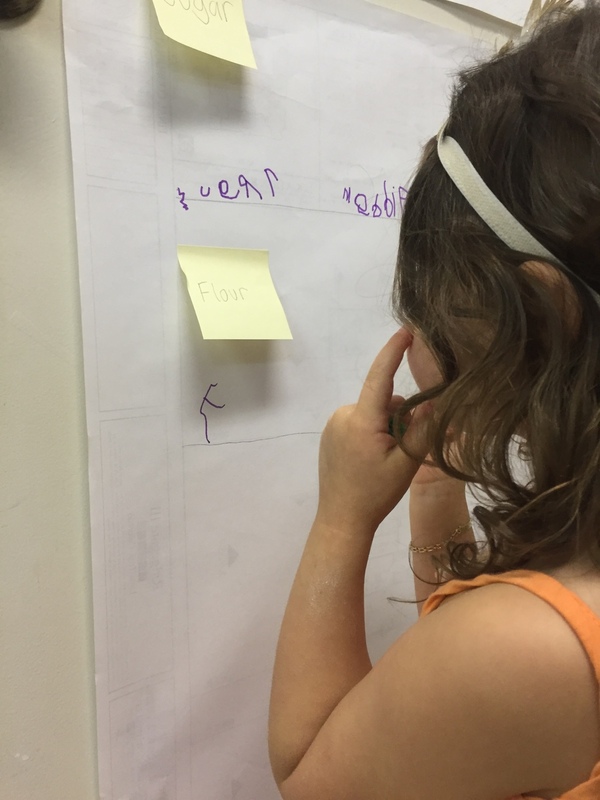 They get extremely excited about doing it everyday, and we are following their lead by incorporating provocations in this activity to strengthen math, literacy and other academic lessons. While making their cupcakes, we have observed the children talking about “the recipe” and “the ingredients” involved. We encouraged the children to write down the ingredients and recipe on a large sheet of paper. This activity encouraged the children to practice letter recognition, enhance their vocabulary and build fine motor skills through writing. It also gave them an opportunity to work together as a group, encouraging social skills like teamwork, group decision-making and interpersonal communication. 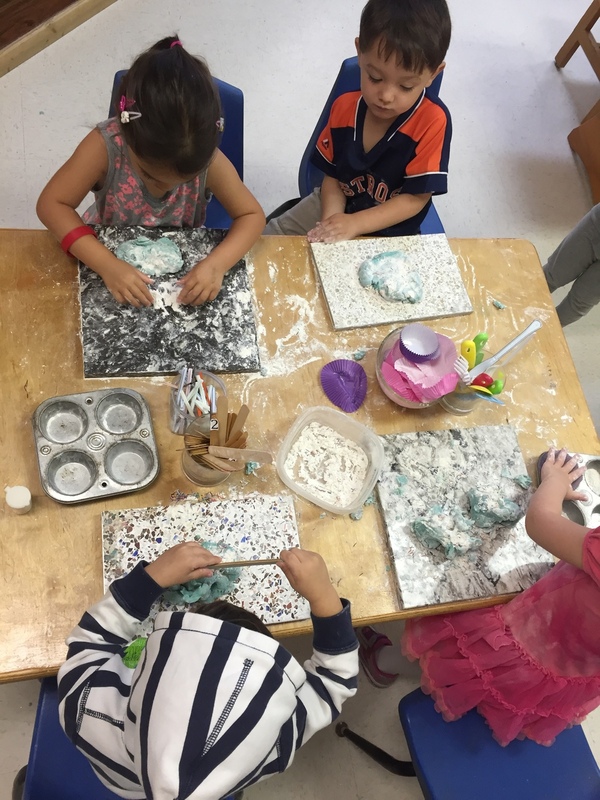 This experience also exposed the children to a variety of baking and kitchen related tools such as muffin tins, cupcake liners, plastic scoops and straws etc. 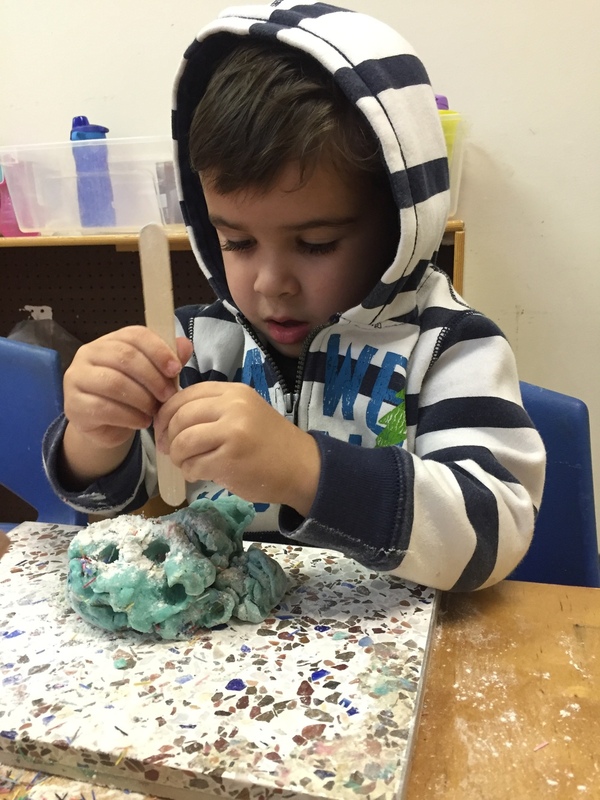 Using these tools builds upon fine motor skills, and learning how to use them on their own instills a sense of independence. 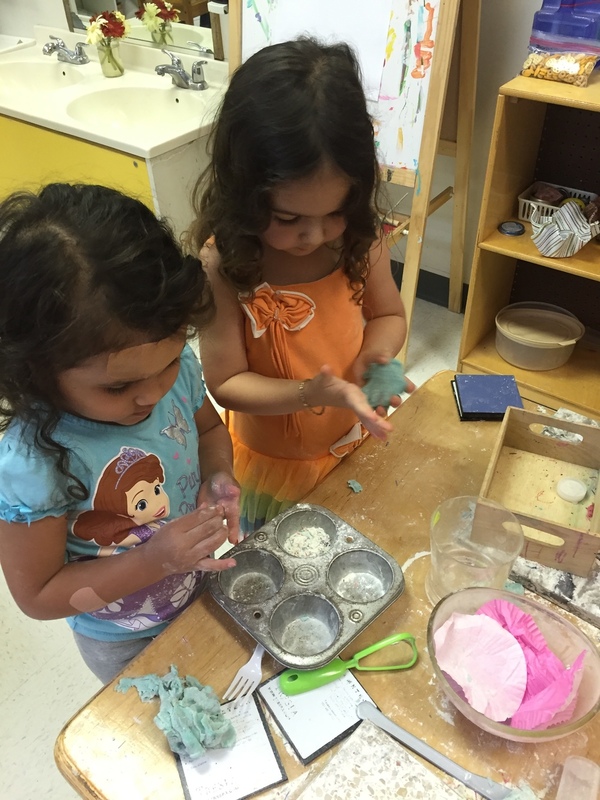 While the children are not actually making “real” cupcakes, this form of symbolic play is meaningful because it familiarizes the students with the baking process. Practicing the science, math and general process related to baking instills a level of comfort and understanding in the students that will be useful in the future when their play cupcakes become real cupcakes.